Welcome Chef Amanda to Cafe' Bravo! Cafe Bravo, with restaurant style dining, is proud of our Chef Amanda. She is an award winning Chef that brings her wonderful experiences to nursing home dining! Her creativity and experiences in the kitchen started early in her childhood with learning how to cook cajun meals. 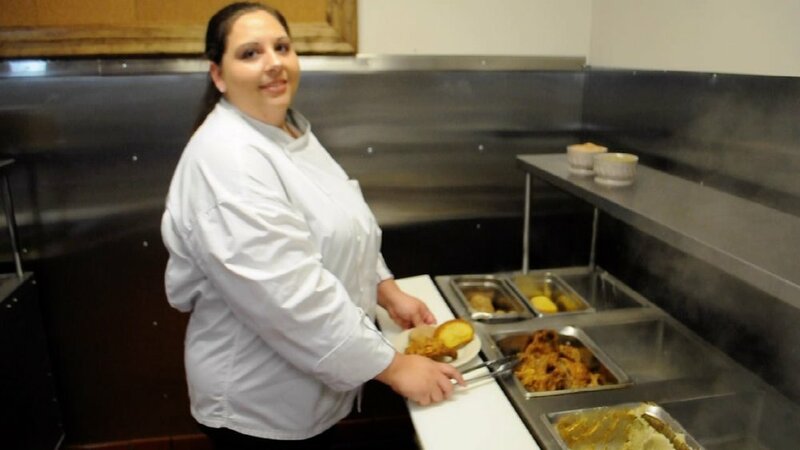 She is a true Cajun that identifies with our cajun house guests to make Cafe' Bravo a home like environment with the flavor and tastes that our community loves. Our Meals are prepared fresh daily and served hot out the kitchen to each individual's taste buds and liking! Person Centered Care is our priority for each house guest daily. The residents’ meals are served restaurant-style from salad to entree to dessert, to provide your loved one with a comfortable, appetizing, and satisfying dining experience. The residents are given a selection of beverages to choose from in order to promote hydration, which is so important for everyone. We have snacks served between meals which include fresh baked brownies, cookies, and other special treats prepared by our very own bakers. The most important ingredient in all of our recipes is “love” because we love your family like they are our very own.